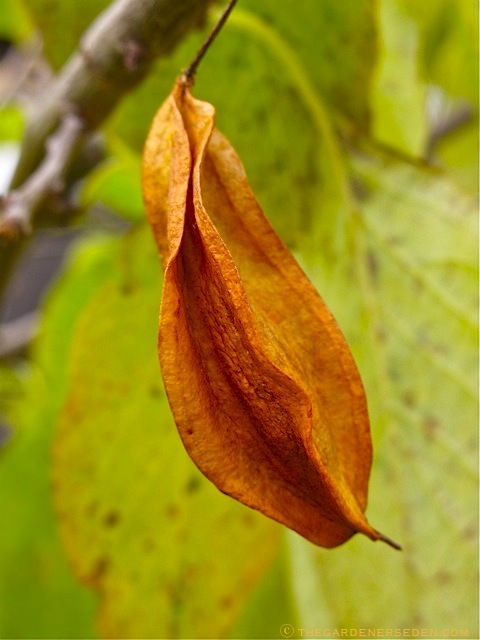 Because of the variability in size and shape, some silverbell species are grown as multi-stemmed shrubs, and some are pruned and trained as single-trunk trees. In its true, native-range (West Virginia to Central Florida and west to Texas USDA zone 4/5-8/9) silverbell, particularly the ‘Mountain Silverbell’ (once known as Halesia monticola, now also grouped as H. tetraptera var. 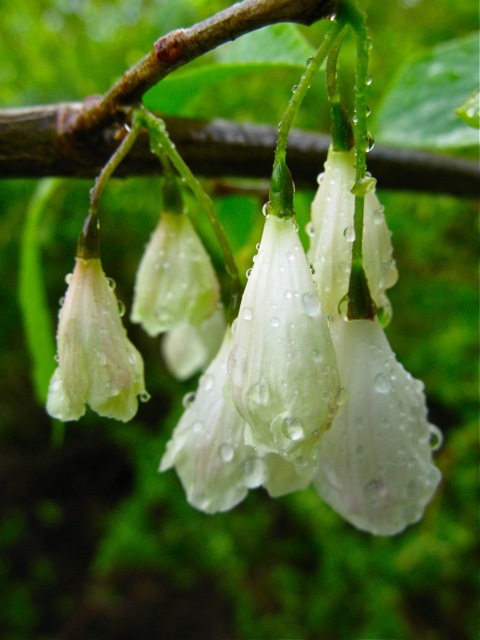 monticola) can become a medium-sized, understory tree reaching 30 to 40 feet (in the mountains of Tennessee and North Carolina, some native, mountain silverbell trees have been recorded at up to 80′ tall). 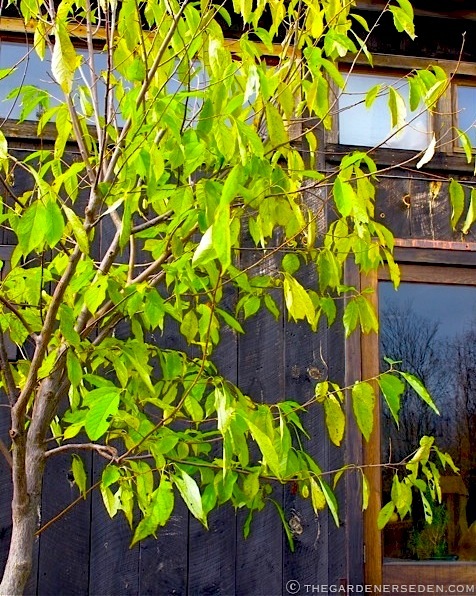 When grown in the northern-most range of its hardiness zone, (USDA 4/5) Halesia tetraptera will remain smaller. I expect the mature size of my silverbell sisters to reach no more than 25-30′ here in the Green Mountains of Vermont. All silverbells, large or small, prefer cool, moist, acidic soil and protected sites (I have my silverbells planted on the eastern side of the studio). If grown in the deep south, be sure to protect silverbell trees from the hot afternoon sun and mulch the root-zone to retain moisture. 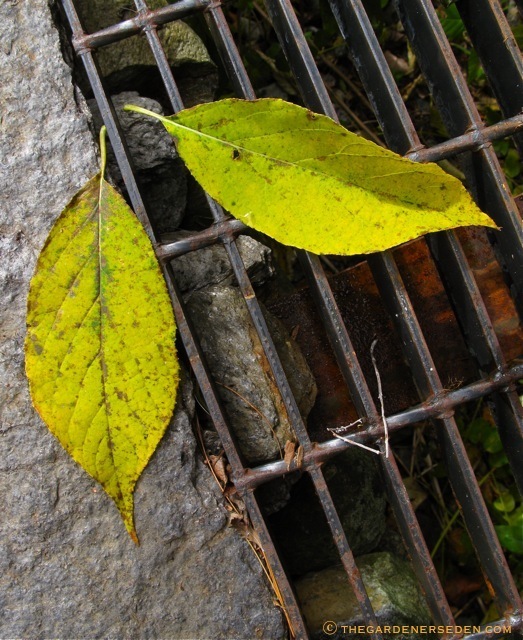 Silver in springtime and gold in fall, Halesia tetraptera remains a rare and subtle jewel in gardens. She’s not flashy, like a common, hot-pink crabapple (Oh no, we are far too elegant for that! ), and it does take a bit of time for her to settle in. 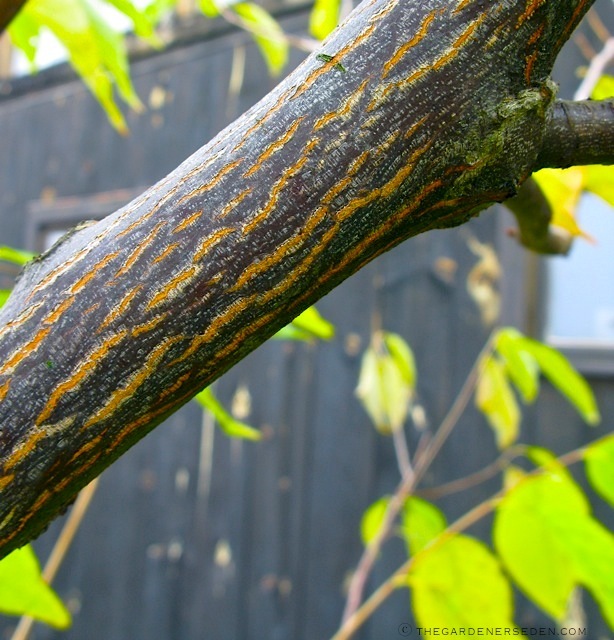 But as is often the case with native trees, patience pays dividends in the garden. To know her is to love her. Carolina silverbell… She’s a true, four-season beauty. Do you enjoy visiting The Gardener’s Eden? 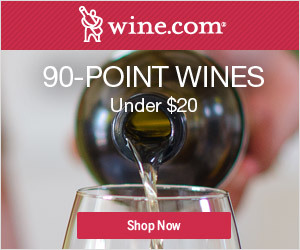 You can help support this site by shopping through our affiliate links. Advertisers do not pay for editorial placement here, but do remit a small percentage of any sale originating from The Gardener’s Eden affiliate links to this site. All proceeds will go toward web hosting and maintenance costs. Thank you for your support! You are currently browsing entries tagged with Common Silverbell at The Gardener's Eden.